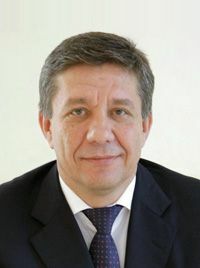 Roscosmos chief Vladimir Popovkin. With multiple launch failures under his belt, will a graft investigation be the final straw? (Credits: Roscosmos). The Russian space industry is embroiled in another corruption scandal as senior officials at Russian Space Systems, the primary constructor of GLONASS and contractor to Roscosmos, are accused of the embezzlement of 6.5 billion rubles (160M Euro). According to Russian media, senior Roscosmos officials had explicit instructions on how to siphon money from the GLONASS project back to top officials. The accusations were raised by former GLONASS investigation chief and current Moscow metro security overseer Igor Bozhkov. Russian Space Systems, the company contracted to deliver GLONASS, refutes the accusations, claiming that it is yet another attempt of top agency officials to seize control of the purse strings. The claims are being taken seriously by the head of state. “As the fight against corruption continues, one should not question the professionalism, competence and honesty of law enforcement officials,” said as a top aide of President Putin in support of Bozhkov. So far, Yuri Urlichich has been relieved of his duties as head constructor of GLONASS as a result of the probe. GLONASS, the Russian global navigation system, has been plagued with delays and scandal; these are not the first claims of misused funds. Two years ago, similar claims were filed for smaller sums of money. Putin is a strong supporter of the GLONASS system and proud of the system’s utilization in top western smart phones. In the 2000s, Putin made the restoration of the GLONASS system a top national priority following its degradation after the collapse of the Soviet Union. The GLONASS project was started in 1976; the first launch was in 1982, and the constellation was completed in 1995. In 2010 the GLONASS system represented a third of the Russian space budget. These accusations may threaten to unseat Vladimir Popovkin, appointed in April 2011, as the head of Roscosmos. Popovkin authorized the full go-ahead for GLONASS construction at the beginning of his term and is thought to have had run-ins with Russian Space Systems over financial control of the program. Popovkin has already overseen several technical failures during his short tenure, including the Phobos-Grunt fiasco and a recent rocket explosion that created an unprecedented debris cloud in low Earth orbit.